Developing a Model that Works for You – Whats your superpower? It’s Carnival time again here in Trinidad and Tobag!. Lot’s of liming, plenty feteing, eating and drinking – at least for those of us on the receiving end of the music and the food! 🙂 For the artists, performers and musicians it’s a narrow window within which they need to make the most money that they can make because for many, once the Carnival Season is over, there is very little money to be made. Was chatting with my friend Juliette about her take on parties this Season and we got to talking about Machel Montano. I told her that Machel now has a business model that works like a well oiled machine. This of course is my “arm chair” analysis. I don’t have hard facts but from where I sit, I’ve watched him over the years tweak and modify, improve and innovate, to get to the point that he is satisfied with the final output AND returns on his investment. We can all learn from Machel. First we need to look at the outcome – what is it that we want? We need to be VERY clear about our outcome and we must express it positively. Not ‘I want to stop smoking’ but what stopping smoking will give you, e.g. ‘I want to be healthy’ or ‘I want to live longer’. Next we need to figure out WHY we’re doing what we’re doing? What’s our purpose? And finally we need to figure out the right strategies to achieve what we want to, and get going on taking action. This is where most of us drop the ball. We know what we want, we don’t always have a big why but we do take some action, and when we don’t get the results we want we say we’ve failed. We give up and move on to something else. Instead what we need to be doing is analyzing WHAT we’re doing and if we’re not getting the results we want then we need to change our approach. And we need to change our approach until we start getting the results we want. When we finally start getting consistent results, we would have arrived at our model for being effective. My outcome: I want to be fit and healthy. Why? It beats being unhealthy and unfit 🙂 I would also be able to wear those shirts that I recently bought that can no longer button around my belly 🙂 and I just know I’ll feel great because I have already started to feel better and my energy levels are increasing. 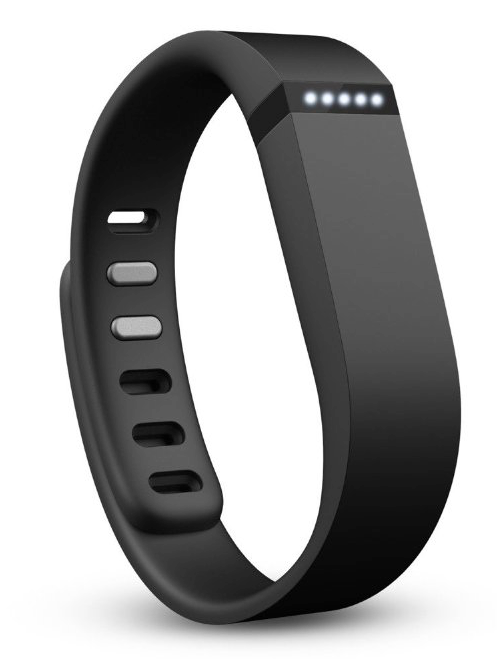 Strategy: I will use my fitbit to track my actions. My actions: Walking, gardening, getting up from the computer every hour or so and doing a chore. Analyzing my results and modifying my actions: Taking 10,000 steps a day will help me achieve this outcome. My fitbit measures my steps, along with some other metrics including miles walked, calories burned etc. I love a challenge and so on a daily basis, I try to figure out what I could do and how long it’s going to take me before I reach to my daily goal of 10,000 steps. I’ve realized with just my average activity around the house, sweeping, weeding, and doing other chores, I average about 4500 steps per day. Which leaves me with 5500 steps as a daily target. What I did: I walked up and down my driveway (which is a beast of a hill lol) 5 times and measured the number of steps on average I would take in 15 minutes – the time it takes me to do 5 driveways. It’s approximately 840 steps. So I figured if I do 5 driveways, 4 times for the day, I could get in another 3360 steps and if I go for a 25 minute walk, I’ll add another 1300 steps towards my goal. If you’re doing the maths – that’s only 9160 steps. So let me ask you this – can I influence my results? You bet I can because now I’m searching for a way to make another 840 steps and if you’ve been REALLY following then you’ll know that all I have to do is ONE MORE DRIVEWAY! THIS is the point we need to get to in our lives, if we want to see REAL RESULTS and if we wish for those results to be sustained. It is my belief that Machel has got his business model down to a science. This does not mean that stuff won’t/can’t happen, that he may not make a bad investment or lose money in a bad decision. What he probably knows for sure now is – if I do THIS I am certain that I will get THAT result. And that’s not a bad position to be in!